Tim McLoone is a restaurant proprietor and founder of Holiday Express, a volunteer, non-profit and non-sectarian organisation dedicated to bringing music, gifts and holiday cheer to those less fortunate. Also two times at one evening during the Holiday Shows. Bruce Springsteen & Friends performing two shows; one at 4:30pm and another at 8:30pm. Bruce makes an unscheduled appearance at Bobby Bandiera's Hope Concert. He performs the song with Bon Jovi. 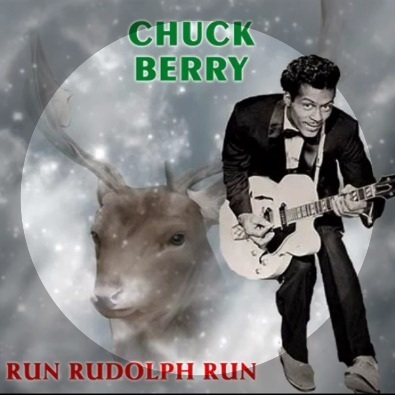 "Run Rudolph Run" is a Christmas song popularized by Chuck Berry, written by Johnny Marks and Marvin Brodie. The song was first recorded by Berry in 1958 . Musically similar to Berry's very popular and recognizable song "Johnny B. Goode" and melodically identical to his song "Little Queenie", released in 1959.